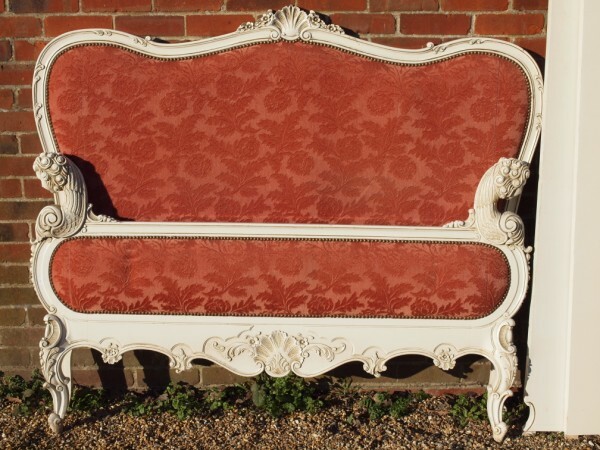 It's proving rather difficult locating a king size vintage bed, but here are a select few that I like at the moment. I have added a couple of ridiculous ones, i.e. The Oyster beds! If any of you stumble across any nice ones available to the UK and for a reasonable amount do let me know! Which is your favourite? 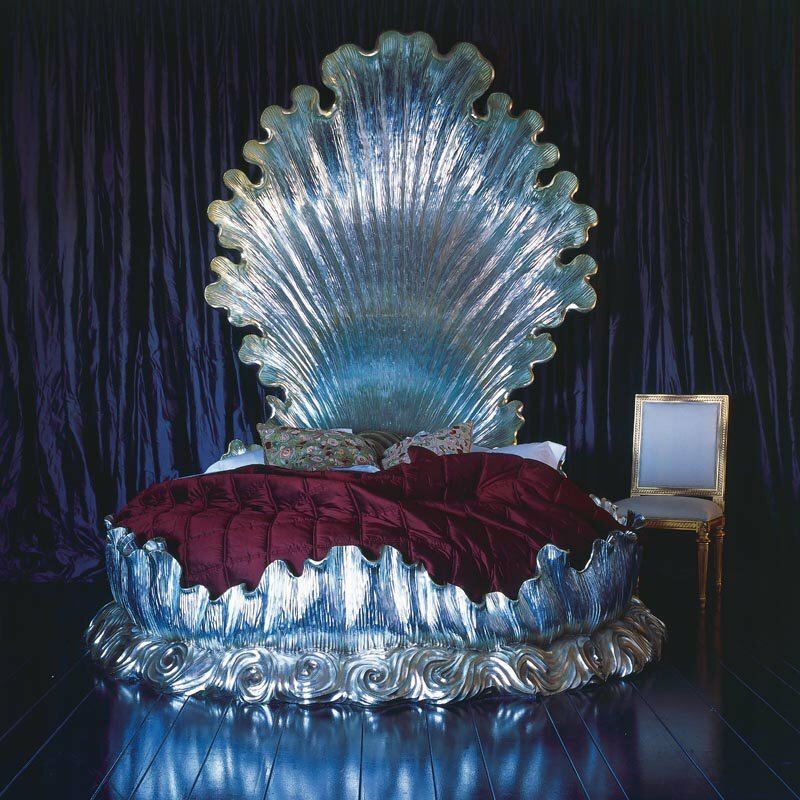 Ohhh, that silver shell bed is a dream!!!! 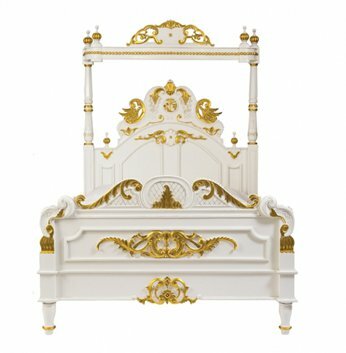 I will never again be satisfied with an ordinary bed after seeing that marvel! Good luck with the hunt; do you have little country auctions near you? I'm not sure if it's just an American thing, but my parents and I have each accumulated awesome antique beds dirt cheap at our local small-town auction house. Oh, these are divine. Especially the silver shell! I know, if only I could fine one like it! Aha that is a valid point, the mermaid store me thinks! These are all amazing! I've always had plans of building some kind of shell bed like the one in the last picture, but I'm not sure what kind of material one would use. That would be wonderful, some kind of resin, could even fashion it out of material! 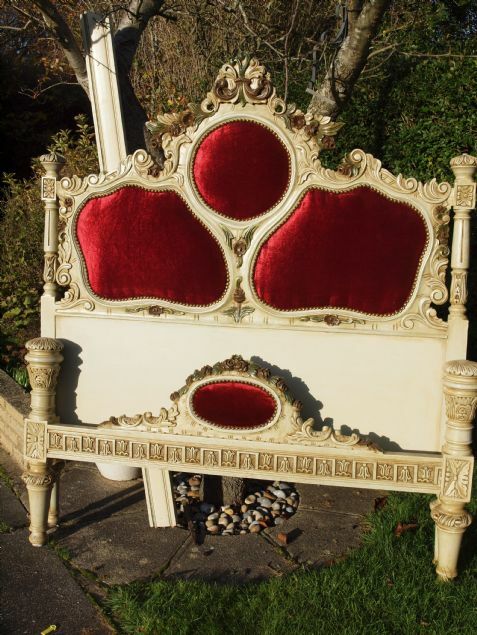 Vintage king-sized beds are a bit of a tall order! Until the 1960s most people slept in a double and some of those are odd sizes. My bedroom suite is from the 1940s and it's supposed to be a double bed but it isn't quite the same size as the mattress! I really like the shape of the bed that has the bird print and then also the blue velvet. I think they're actually the same bed frame? Good luck on your hunt! I'd agree with Dakota--small towns are great for this kind of thing, at least in America. You would suit the oyster bed my dear! Holy shizzer! You have such a flair for the dramatic!!! I totally see you in any of these, but I think I like the blue satin one the best. As long as it's a good, firm workbench (wink), what the hell! My bed is really very plain, but I adore it! I reckon you'll have comfort and glamour well sorted! These are all so magnificently stunning! The very first and second to last are my top favourites, but really, there isn't a single glam, gorgeous, show-stopping bed here that I wouldn't gleefully put in my house anytime. Wishing you tons of luck with your hunt!